Hillcrest Hospital Claremore is a state-of-the-art facility providing advanced emergency and medical services right here at home in Claremore, OK.
From our Peggy V. Helmerich Women's Health Center, outpatient surgeries and preventive care to our 24/7 Emergency Room, advanced medical services are close to your home. Hillcrest Hospital Claremore consistently receives high quality scores and is a recipient of the Certified Healthy Oklahoma Award of Excellence. 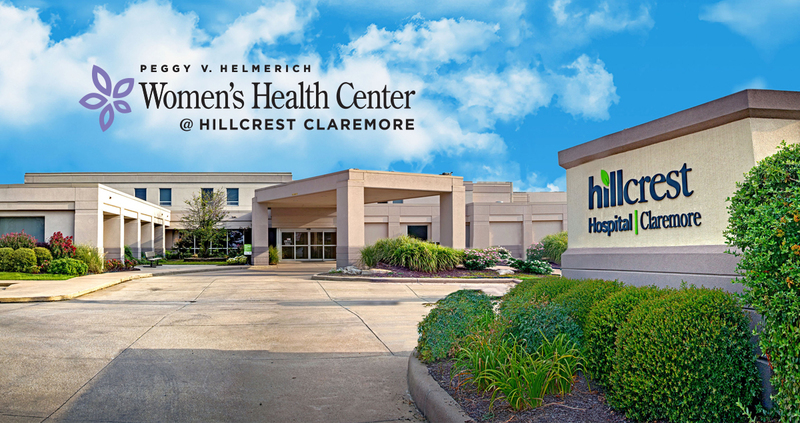 Hillcrest Hospital Claremore offers a variety of services for all ages and in a location convenient for Claremore, Oklahoma residents. Our highly skilled team of health care professionals is dedicated to keeping you and your family healthy.